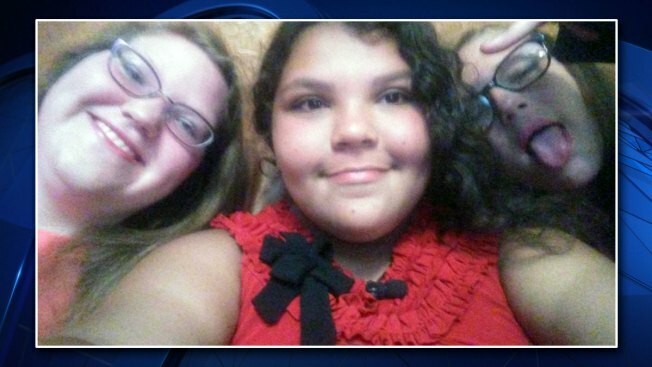 "I'm just very grateful to them, very much, because if they hadn't, I might not have my daughter today"
Saturday morning, 15-year-old Arianna McClain woke up on a palette on her living room floor next to friends Savannah Meza and Marissa. It was the end to a sleepover that was no ordinary get together as the teens celebrated heroic actions and most importantly, life. Just days before, Arianna, who's been diagnosed with both autism and epilepsy, was with both girls at Surf and Swim in Garland, Texas, for a birthday party. Her friends kept a close eye on her as they waded deeper in the wave pool, but they were confident in knowing Arianna can swim. As the pool filled up and the waves kicked on, something changed for Arianna. Few might have noticed. But from across the pool, Arianna's mom Kathryn Jennet knew exactly what would come next. "I saw a change in Arianna's body. And I thought, 'Oh.' You know, it just triggered a warning to me. I started yelling, 'She's epileptic. She's epileptic. She's having a seizure!,'" said Kathryn Jennet. But in the midst of happy chaos that surrounded them, Jennet said it felt as though her cries fell on deaf ears. "It was just so surreal because it was like everyone was in their own little bubble of happiness and having fun and then there was this little nucleus of terror going on around all these people that had no idea that someone was drowning," Jennet said. Yet, at just 14 years old and measuring in at nearly a foot shorter than Arianna, Savannah and her friend Marissa jumped into action. "While my friend was like pushing her up, I was going underwater trying to push her up by her feet. And the waves kept going over us, so we kept dropping her and going underwater as well," Meza said. Meza recalled that moment feeling like an eternity. "It was scary… terrifying," she said. But while Jennet remembered watching and thinking all three girls were in danger, Meza said she and Marissa had no plans of giving up. "Me and my friend were saying that if anything happened to us, we wouldn't care as long as she got onto shore safe," Meza said. Which they did, keeping Arianna above water until both her brother made it across the pool and a lifeguard was able to stop the waves and jump into help. "I'm just very grateful to them, very much because if they hadn't, I might not have my daughter today… I hope they're friends for the rest of their lives," Jennet said. A spokesperson for the Garland Fire Department confirmed the incident happened, saying Arianna was out of the water and conscious by the time the ambulance arrived.